There are only a handful of authors/series whose books I will rush to buy immediately upon their release, and Alan Bradley's Flavia de Luce novels are at the top of that list. 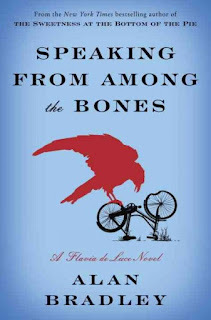 The insatiable need to get my hands on these books means that I've been waiting over a year for the release of book #5, Speaking From Among the Bones. With a penchant for poisons and an ardent love of chemistry, Flavia de Luce is back with all her unabashed zeal for uncovering the secrets of the dead. As Bishop's Lacey prepares to open Saint Tancred's tomb on the 500th anniversary of the patron saint's death, who else but the eleven-year-old amateur detective would be on scene to discover not a centuries-old skeleton, but the freshly murdered remains of the missing church organist, Mr. Collicutt. As she launches her own clever and covert investigation, Flavia uncovers an array of secrets, including some kept by her own mother, whose untimely death still shadows the de Luce family and their home estate, Buckshaw. As both a writer and a reader I am constantly awed by Bradley's ability to set a scene with the most enchanting descriptions, not to mention the constant flow of witty dialogue and Flavia's audacious inner thoughts. 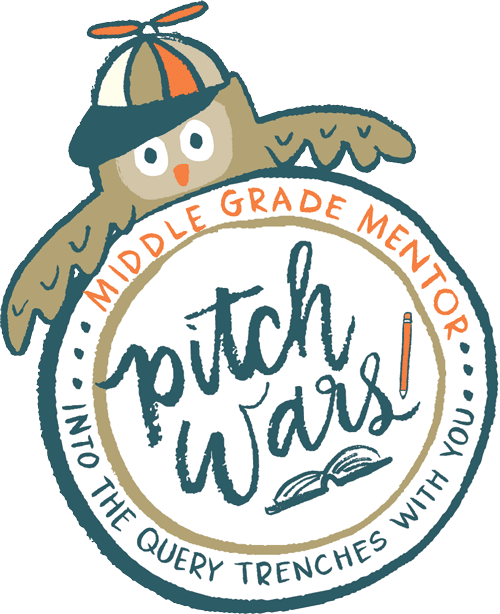 There are enough twists and turns (and suspects) to keep you wondering if your guesses as to the culprit are correct, and I can pretty much guarantee, no matter how well you think you have it figured out the conclusion will surprise and delight you. As always, Flavia's methods and adventures will leave you laughing and amazed at her ingenuity. And don't forget those rare raw and feeling moments between Flavia and her family, which are even more emotionally charged as the fate of Buckshaw--and the entire de Luce family--appears more fragile than ever. Fans of Flavia will love returning to the quaint village of 1950's Bishop's Lacey, England, and the mind of its most interesting young resident. Plus, we're treated to a deeper glimpse into the lives of some of our favorite and most endearing persons, and are given further insights into the life and character of Flavia's late mother, Harriet. But be forewarned--the moment you read the last sentence you'll be launched into an agonizing wait for the sequel. According to flaviadeluce.com, book #6, The Dead in Their Vaulted Arches, is set for an early 2014 release. New to the Flavia de Luce novels? Check out book #1 The Sweetness at the Bottom of the Pie.